Despite years of achievement, CSUN’s sports programs continue to go largely unnoticed by Los Angeles sports fans, as well as by the CSUN community. 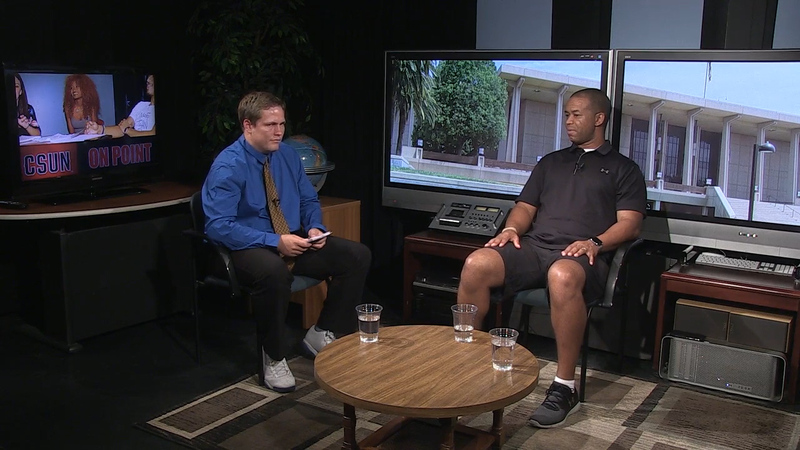 On Point reports on CSUN’s sports culture, school spirit, and the role of athletics off campus with CSUN Women’s Basketball Coach Jason Flowers. CSUN On Point is the California State University, Northridge Journalism Department’s 30-minute news and public affairs show. Advanced level journalism students in the Mike Curb College of Arts, Media and Communication produce the show with the assistance of faculty advisors Sally Turner, executive producer, and Lincoln Harrison, director. The show covers newsworthy topics including current affairs and in-depth issues. On Point students are divided into three teams, each responsible for researching, writing and producing four shows over the course of the semester. This includes pitching a story, writing the content, constructing interview questions, booking the guests, working together to produce and tape the show and editing. In addition, other students are responsible for the upkeep of the On Point website as well as managing all aspects of publicity and social media. The high skills and unique talents of On Point advanced journalism students are reflected in the professionalism and production value of the segment. The mission of the Department of Journalism at California State University, Northridge is to prepare its students to become well-educated principled citizens who are capable of initiating careers as skilled journalists, public relations practitioners and other related communication professionals. Its goal is to stress a balance between the theoretical and practical elements of journalism and mass communication while helping to attain a solid foundation in liberal arts. This type of forward-thinking teaching allows for students to get the education they need to succeed as communicators in today’s complex and changing world.